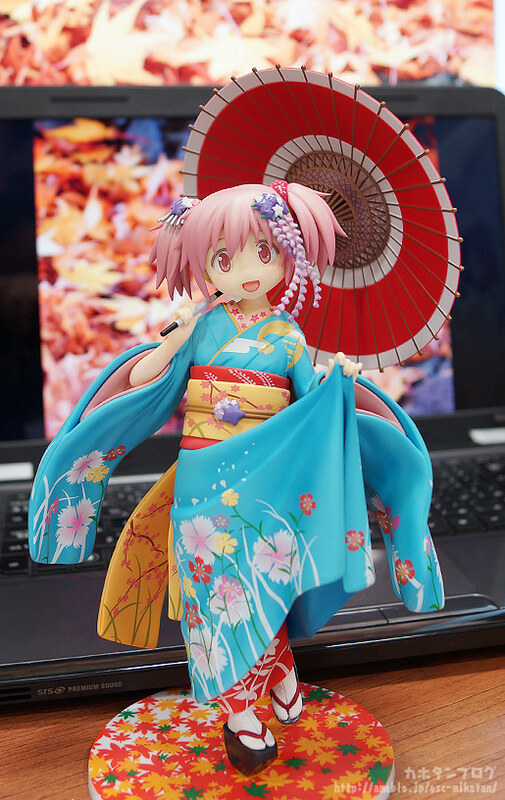 Kahotan's Blog | GOOD SMILE COMPANY Figure Reviews | Madoka Kaname: Maiko Ver. Kyoto is like a second home to me, as when I was in university I lived alone there! It’s so easy to go out and have fun in Kyoto in ways that Tokyo just doesn’t understand! 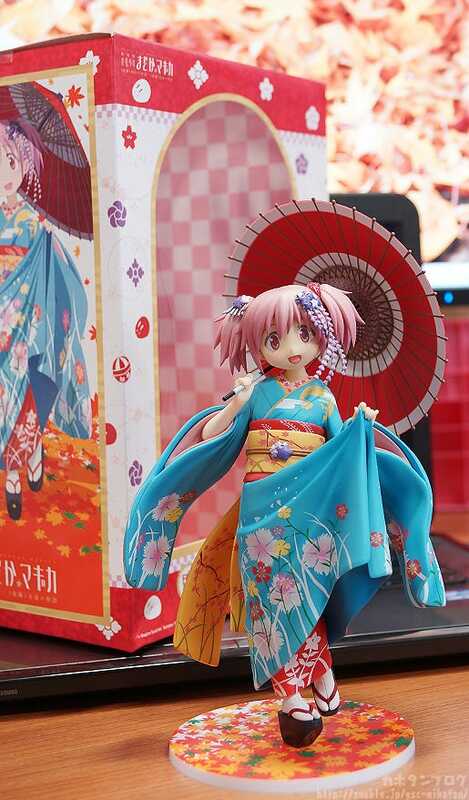 From ‘Puella Magi Madoka Magica’ comes a 1/8th scale figure of Madoka Kaname as a maiko – based on the illustration seen on the pre-sale tickets for the Kyoto International Manga Anime Fair! 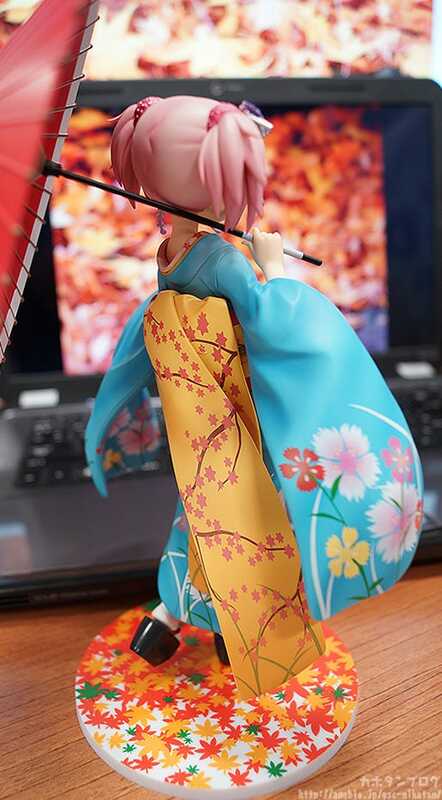 The figure is a faithful rendition of the original illustration, with both the outfit, Japanese umbrella and autumn colors coming together to bring out the atmosphere of Kyoto perfectly! The long orange sash flows beautifully at the back! That neck… look at her beautiful neck!! A slightly different angle of the lovely neck! 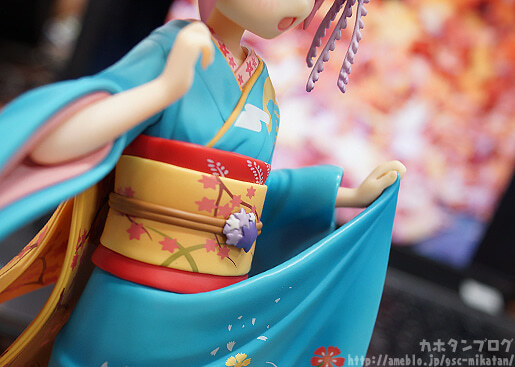 The purple hair accessories also match up with Madocchi’s pink hair so nicely! I really like this angle, as it’s just the right angle for me to picture her gently twisting her head toward me with a gentle “Hmm?”, if I called out to her! 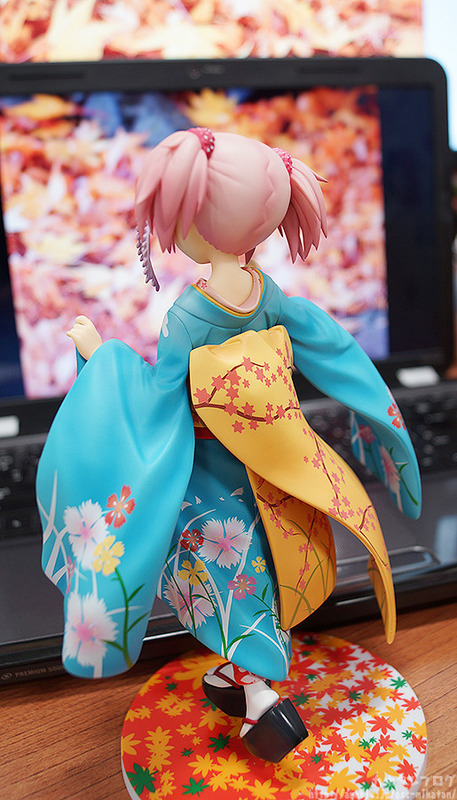 The smallest of details are always so beautiful on kimono figures! 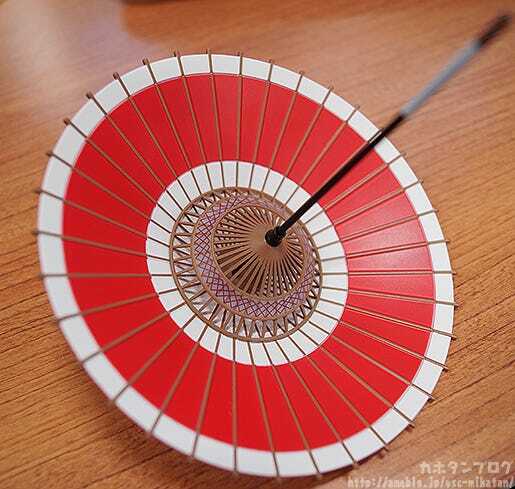 As you can see, the umbrella can be removed! Her feet also look fantastic! 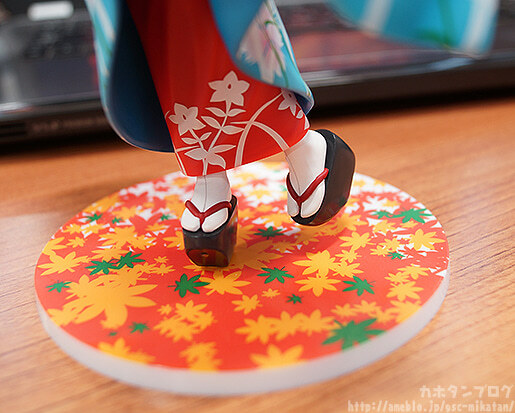 The geta sandals are also very suited to the season and to a Maiko! It all comes together to create such a beautiful outfit! Kimonos truly are the best!! 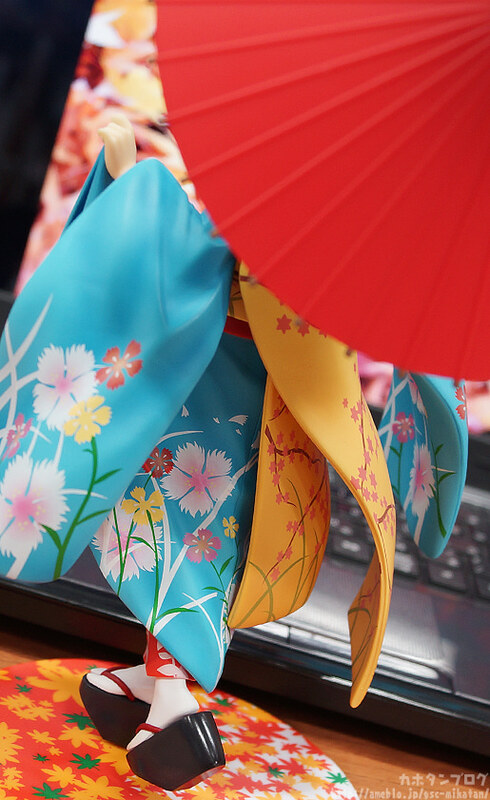 This product will be available on the 7th and 8th of September at the Kyoto International Manga Anime Fair 2013! The Miyako Messe is very close to the Kyoto Municipal Museum of Art! I remember going to that museum for both class and my personal hobbies a number of times, it’s an amazing place to visit! The ‘Takeuchi Seiho’s Modern-Day Japanese Paintworks’ that are currently on display in Tokyo are also going to be at that museum from October – the 80th anniversary display for the museum! …how did this become a blog about museums?! ( ﾟдﾟ　)ﾊｯ! 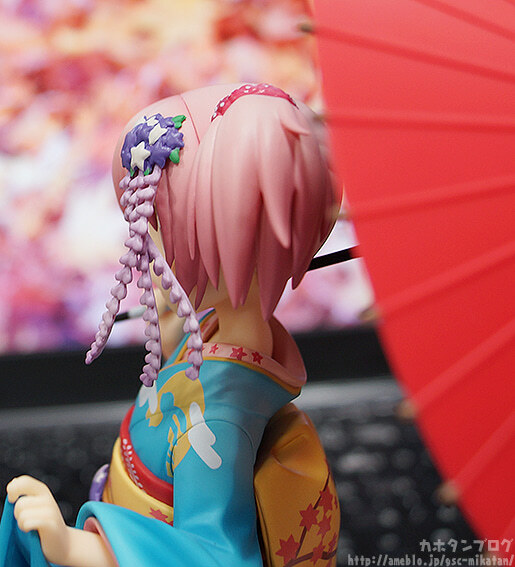 Let’s get back onto the details for Madoka!! 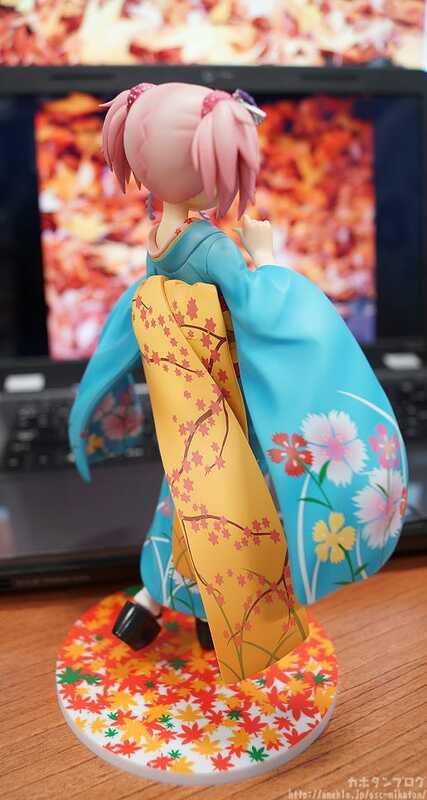 1/8th Scale Madoka Kaname: Maiko Ver. Sales Limit: Max 1 product per person on a first-come-first-serve basis. · Please note that stock is limited and details may change without notice. But with that said, we know that not everyone can make their way to Kyoto, but I have some good news for you! 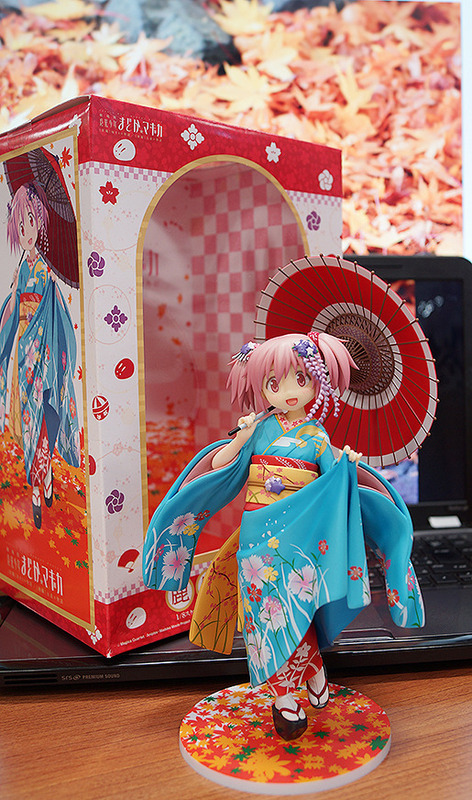 ANIPLEX will be selling a limited number of the figure at their online shop ANIPLEX+! Anyway, I hope to see you all again tomorrow! !